OIL INVENTORY REPORT – Brent slipped further away from the $70 mark after topping that level during the previous session, while West Texas Intermediate (WTI) crude was also slumped, dragged down by concerns over trade negotiations. 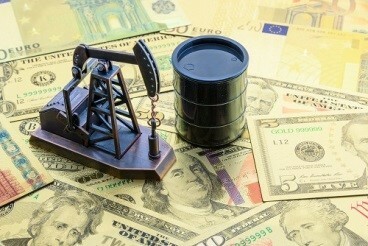 Brent crude futures for front-month delivery lost 26 cents, or 0.5 percent, hitting $69.4 per barrel. Last session, it stepped on the $70.03 level, which was its highest since November 12. Meanwhile, WTI crude futures for front-month delivery lost 1 cent at $62.09 after having shed 36 cents in the prior session. Last Wednesday, it stepped on the $62.99 per barrel, its highest level since November. In spite of the losses today, the two benchmarks were still on track for their weekly gains. Brent is set for a second weekly gain, while WTI is seen to clock in its fifth weekly gain in a row. Oil prices have been supported by efforts from the Organization of the Petroleum Exporting Countries with its allies including Russia, collectively called the OPEC+, to curb output by 1.2 million barrels per day in order to prop up prices. This year, Brent has fetched in almost 30 percent this year while WTI has raked in 40 percent thanks to OPEC cuts and US sanctions on Iran and Venezuela. Trade War Nearing a Conclusion? On Thursday, US President Donald Trump said that a trade deal with China was almost at hand and could be four weeks away. He emphasized that tariffs and intellectual property theft were the main points of contention in the trade negotiation, which for months have affected oil prices. German factory orders fell in February for its sharpest decline in more than two years, an indicator that also supported bearish sentiment. The fall in these German figures was blamed on the weakening foreign demand, stirring more jitters in European economies.